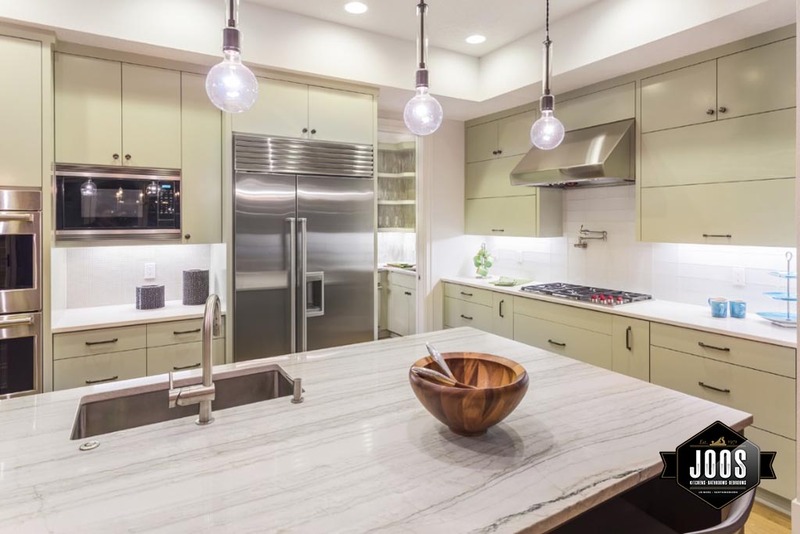 STONE COUNTERTOPS: Honed, polished or leathered finish? Let’s talk stone countertops! Textured and tactile finishes continue to gain popularity in homes. Fabrics, wall and floor finishes are all expanding to embrace the texture revolution. 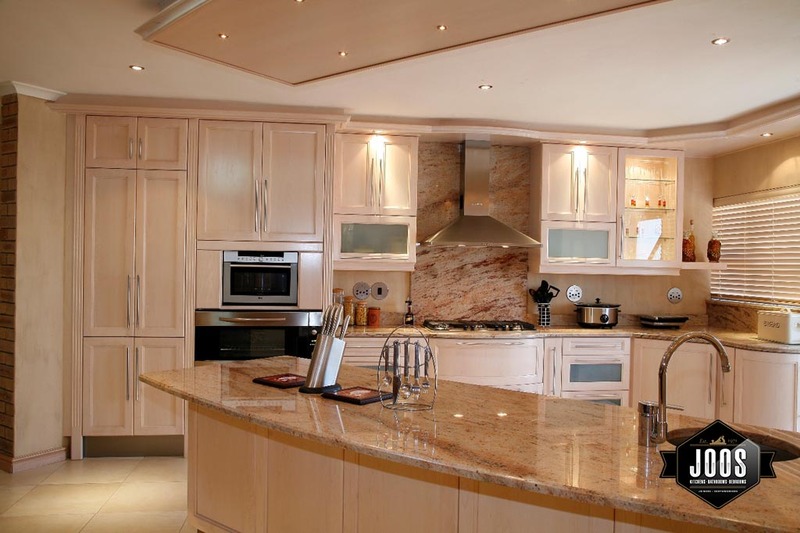 Stone fabricators have also has to look at how their product remain relevant in this environment and have come up with a unique alternative finish for natural stone. Leathered surfaces are relatively new to most homeowners but have been gaining global traction over the years with South Africa being no exception. Leathered surfaces offer a different look and feel, and from a practical point of view they can also be lower maintenance – fingerprints, watermarks and crumbs are less conspicuous than on a shiny, polished finish. The surface finish you select will affect the look and feel of your space and also the maintenance of your stone. The choice of finish will also affect the depth and richness of colour. A glossy finish that brings out the full colour and character of the stone. The finish is smooth, shiny and mirror-like. The stone will appear slightly darker with richer colour after this finish is applied. 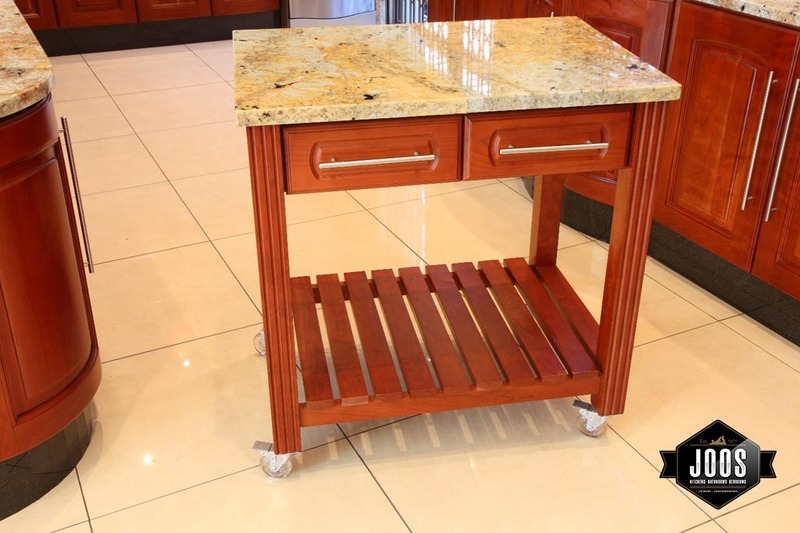 Polished granite will retain its shine for a very long time so this makes it relatively easy to clean and care for. On the other hand, one of the benefits of polished surfaces is the contrast of the shine against the cabinets, which are often wood. This brings balance to the room, with many consumers wanting their countertop to shine and stand out as the focal point of the kitchen. 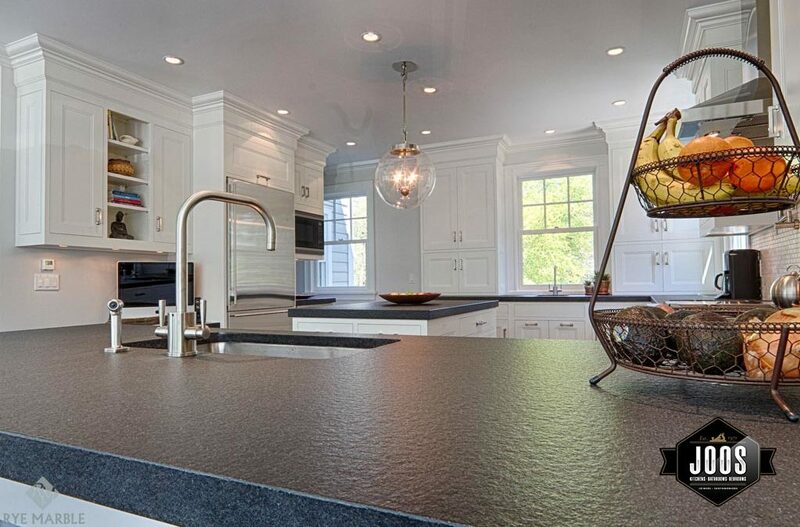 A polished finish is most often used for countertops. A satin smooth finish with little or no shine. The look of the finish varies depending on the stone type, from a matte appearance to a low sheen. Honed surfaces are always smooth with no ridges or bumps. This finish can make the stone look lighter or “greyed out”, especially if applied to dark surfaces. Honed finishes need to be resealed more often than polished finishes, but because of the lack of shine flaws can be concealed more easily. A honed finish is best for low maintenance, high traffic applications. A newer style of stone finish that has become more popular in recent years. It is most commonly seen on darker granites and gives the stone a textured appearance while retaining its natural colour. A leathered surface usually has a soft sheen to it, but is much less shiny than the glossy look of a polished slab. Leathered granite hides fingerprints, water spots and smudges well. 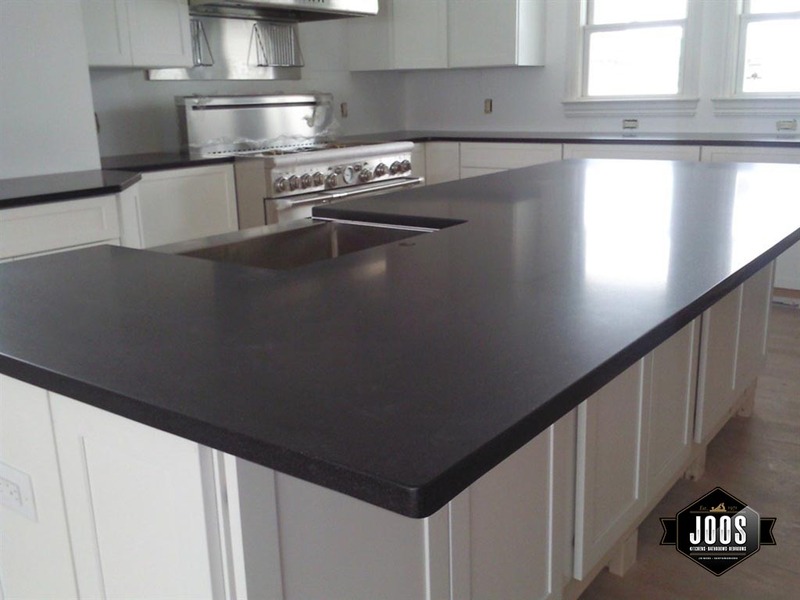 A leathered finish is most often used for countertops, vanities and outdoor applications.